Toggle brings you entertainment, news and information over your Android and TV with Chromecast device, giving you access to the entertainment you want, anytime, anywhere. 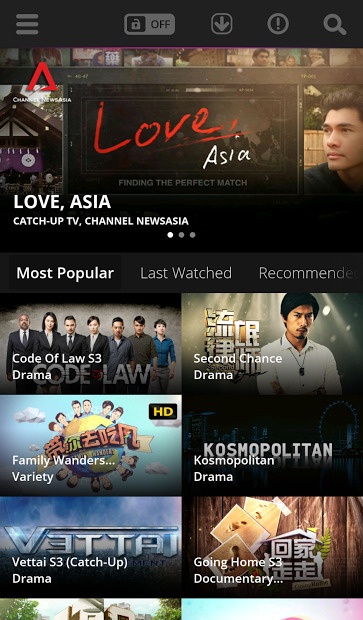 Download the app for free and get instant access to on demand catch-up TV and live streaming of Channel NewsAsia, Channel 8 and Ch 5 local shows. Tag your favourite programmes and receive notification the moment a new episode of your favourite series is added. Then you can rate the episode you just watched and share via Facebook, Twitter or email. 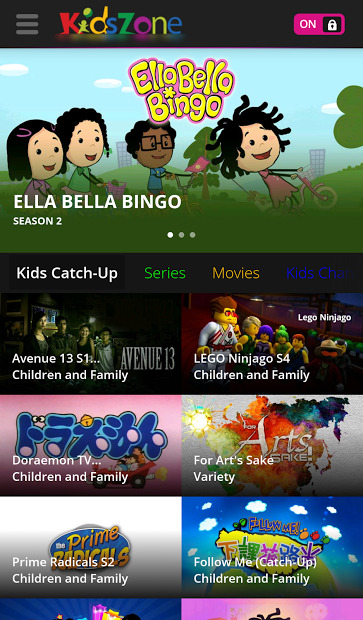 Toggle have a KidsZone about content for children and family and lock content that may be not suitable for them.